Film semiologist Christian Metz had famously stated that cinema is difficult to explain because it is easy to understand. Last Monday I started taking lectures at National College. 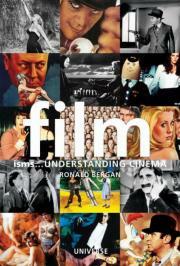 The paper is ‘Understanding Cinema’ for the Second Year in Bachelor in Mass Media. Going by Metz, seems the work for the students (understanding cinema) is easy, but I’m up to a difficult task (explaining cinema)! More importantly, it is going to be a challenge to make the subject simple and accessible for those 19-20 year-olds, to encourage them to look at cinema with a new perspective, without trying to turn them to film makers, critics, or film scholars. I’m therefore forced to devise a method to make that possible. So here is what I am doing, though it might appear contradictory to my intention. I have divided the batch into groups – filmmakers (writers, directors, producers, editors etc. ), film journalists (including reporters, critics, and gossip columnists), marketing and promotion experts, and above all, audience. The students have respectively opted for the roles they want to play. I’ll try to encourage them to look at the movies to be screened with their perspectives as these professionals, and then try to initiate a discussion among them that would result in covering of the important topics. The flip side is that this method relies a lot on the participation of the students. But I’ve always been an advocate of making education interesting and involving, and hope I won’t be disappointed. In the first lecture I also tried to cover topics like: ‘Star System in Hindi Film Industry’, ‘Hindi Formula Films’, and ‘Modern Hollywood Cinema’. These topics are to be covered as per University guidelines, but I believe the students already know about these. So I just tried to give them an enhanced perspective on these issues. The real fun begins from the second week when we will actually start ‘reading films’. Today the students were screened the first movie of the semester – Alfred Hitchcock’s ‘Vertigo’ (1958). Looking forward to the discussion on Monday.